The Nick Box is a licensed, quarterly box featuring all things ’90s Nickelodeon! Each quarter is themed around a different Nickelodeon fandom. The Summer box features a mix of Live Action Nick and Nicktoons. This box is still available! 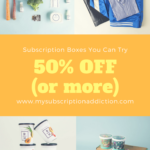 The Winter box features items from Hey! Arnold, Rocko’s Modern Life, Ren and Stimpy, Rugrats, Good Burger, and The Wild Thornberrys. Powdered Toastman Kitchen Apron – Value $20-25? This is like a dream come true – what Nicktoons fan didn’t love Powdered Toastman? If you’re a fan of the Sega Genesis Ren and Stimpy game like I was (like I am, really – I’ve definitely played through it in the past calendar year!) – then when you see him, you might also hear “Leave everything to me!” in your head. Nothing too fancy here, it’s your basic apron. 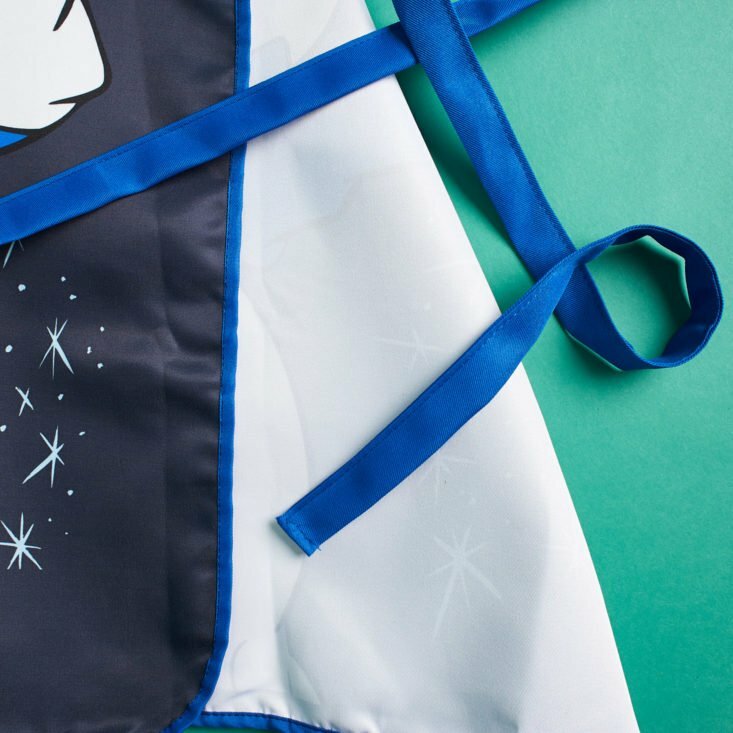 It’s good quality material and might be the best apron ever. 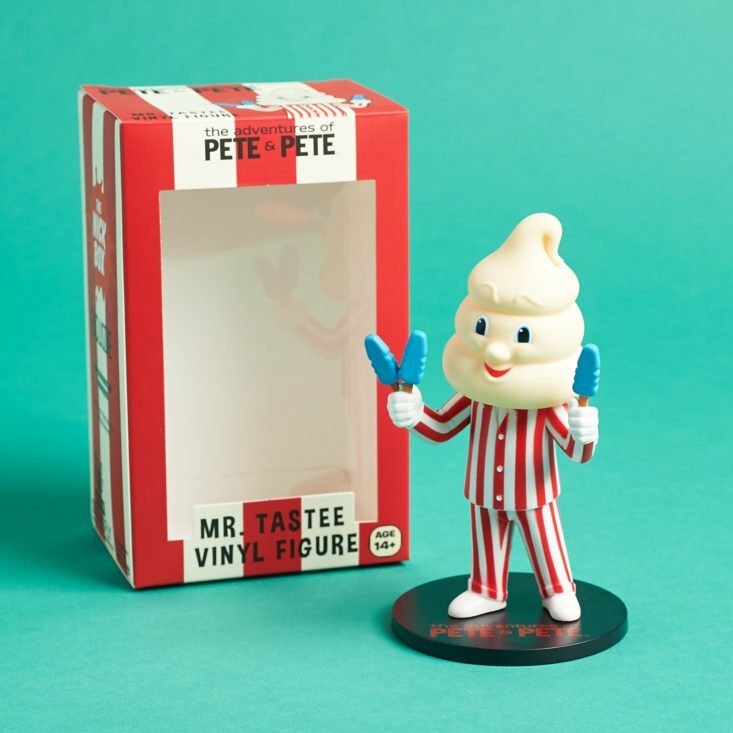 Mr. Tastee Vinyl Figure – Value $15-20? Fear not. Mr. Tastee can now be found on your work desk! I’ve always been a fan of the Culturefly vinyl figures – especially from The Nick Box – and this latest one just adds to the nostalgia. Of course, they’ve done a great job incorporating pieces of the show into the packaging – they typically impress me with these details. Wild Thornberrys Jolly Good Sardines Socks – Value $12? You’ll get a pair of Wild Thornberrys themed sardine socks. These are pretty basic socks – no extra padding or anything like that, and not too thick. Rugrats Cookie Stamp Set – Value $10-15? If you decide to bust out your Powdered Toast Man apron to make some cookies – why not give those a Nicktoons feel with some Rugrats cookie stamps? It has a nice little pouch to keep your set together. Just pop on the cookie press of your choosing and go to town. 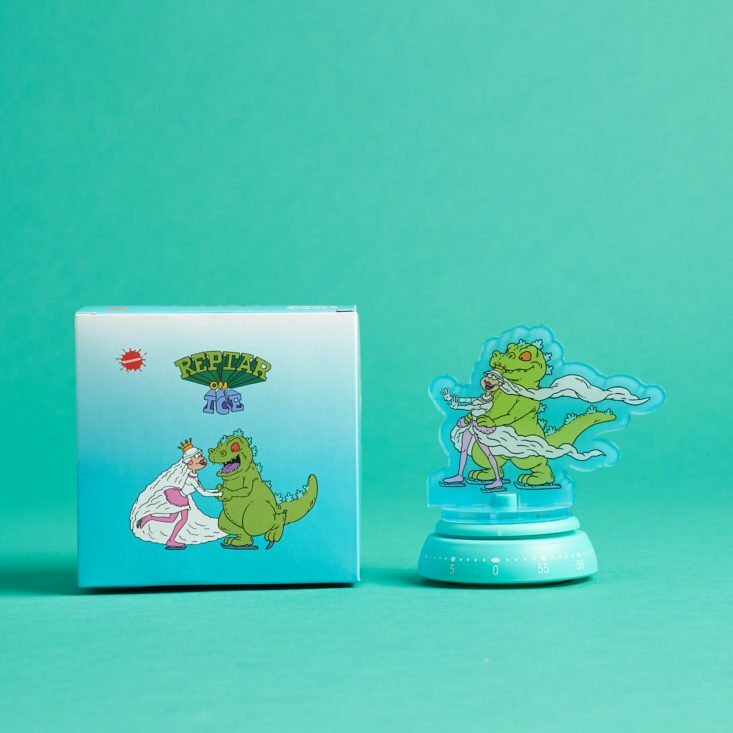 Spinning Reptar On Ice Kitchen Timer – Value $10? You won’t want to burn those cookies, right? 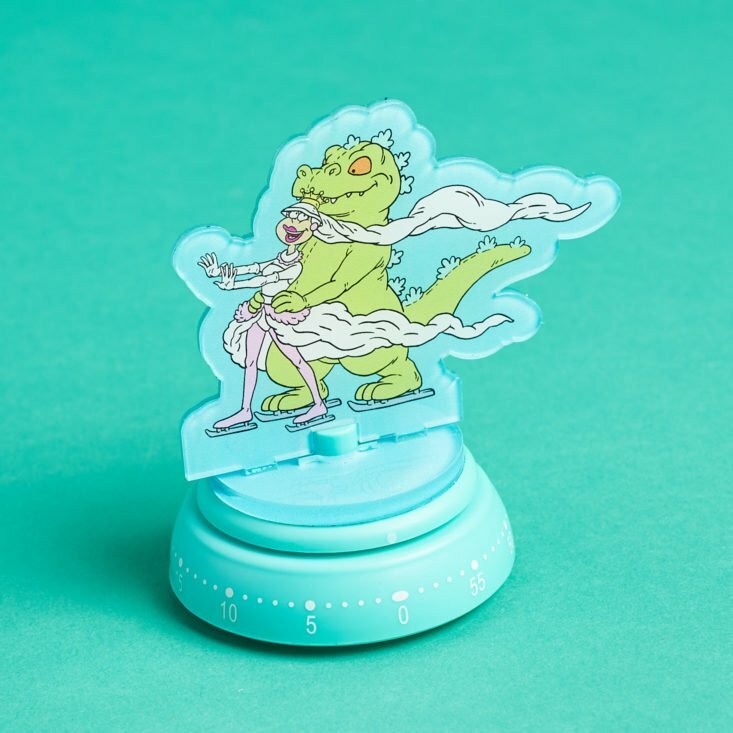 So keep the Rugrats theme going with a spinning timer themed after Reptar On Ice. Rocko’s Modern Life Enchanted Up-Chucks Pin Set – Value $15-20? First, I’d like to acknowledge how fun the reveal is – the pins are aligned perfectly on the couch with Rocko and Spunky – I actually plan to leave it all in place. Quality-wise, they’re right in line with what I typically receive – I’m loving these. Hey Arnold! Refrigerator Magnets – Value $5? Pop some Nicktoons flair on your favorite metallic surface with this pair of magnetics featuring Arnold and Gerald. Good Burger Squishy – Value $10? Meet my new favorite “stress ball”. This thing is pretty much the size of a real burger – I’ve been using it around the office since opening up this box. Good Burger Pillow Cover – Value $10-15? Finally, finish off this food-related box with some food-related Nicktoons as a part of your decor. Verdict: The Nick Box has yet to really let me down – and that trend continued here. I honestly will never have enough Ren and Stimpy or Rocko items, and this box just keeps delivering the goods. On top of that, these are consistently my favorite vinyl figures – Mr. Tastee is just awesome and obscure. Read all of our reviews of The Nick Box to find out more about this subscription. 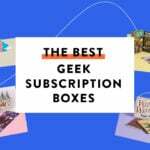 Check out all of our Geeky Subscription Boxes in the Subscription Box List. Rate, review, and follow this subscription on The Nick Box profile page. What do you think of the Winter 2018 “What’s Cookin” box from The Nick Box? I’m so happy that I finally was able to subscribe to this box!! Every review I’ve seen looks so good box-contents wise! I’m going to have to find ways to get my hands on products from the 9 boxes I missed before this, haha. Only issue is there’s no way in the world I’m swapping away my Nickelodeon Box items, so I’m going to have to put in a few extra hours at work to pay for them with real money lol. I really love the apron, even if I’m afraid it will melt if I lean against a hot pan, lol.